Sa Pa is a beautiful scenery, mountainous town in Northern Vietnam along the border with China. 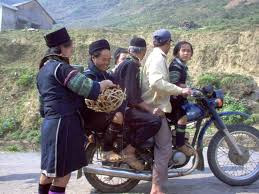 It has long been a famous destination to tourists from all over the world to Vietnam. It’s cool weather, breathtaking landscapes have enchanted a great number of tourists and built up its fame as as a paradise on the mountain. One interesting experience in Sa Pa that tourists can never forget is its nightlife. In daytime, Sa Pa is beautiful; its night scenery is also extremely gorgeous. The mountainous city is lit up with attractive, colorful light which creates an extraordinary fanciful sight. At night Sa Pa is still very lively. Streets with very romantic names like Cầu Mây, Mường Hoa… is crowded with foreign tourists. They leisurely walk on sloping streets, contemplate souvenir shops and take photos. 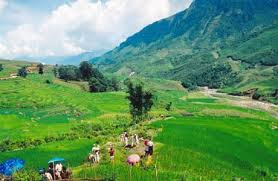 Tourists who are keen on exploring traditional cultures will be lured by the Love Market in SaPa. Ethnic groups put on their most colorful costumes and head to Sa Pa's market on Saturday. The girls hide in the dark shadows and sing love songs to attract the boys, who try to find where the songs come from. If they are well matched, they disappear into the forest for three days. Perhaps, some of them get married after that.